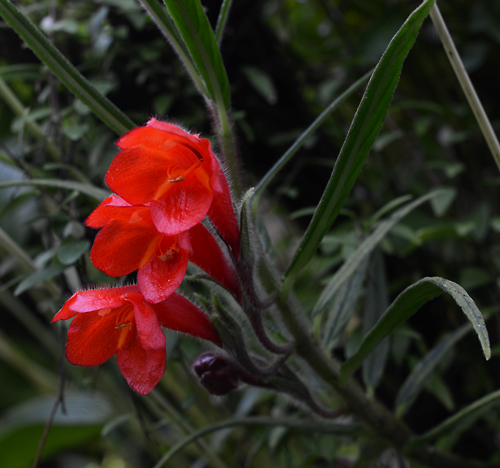 The glowing flame-colored flowers in the Tropical High Elevation House belong to Columnea flexiflora. 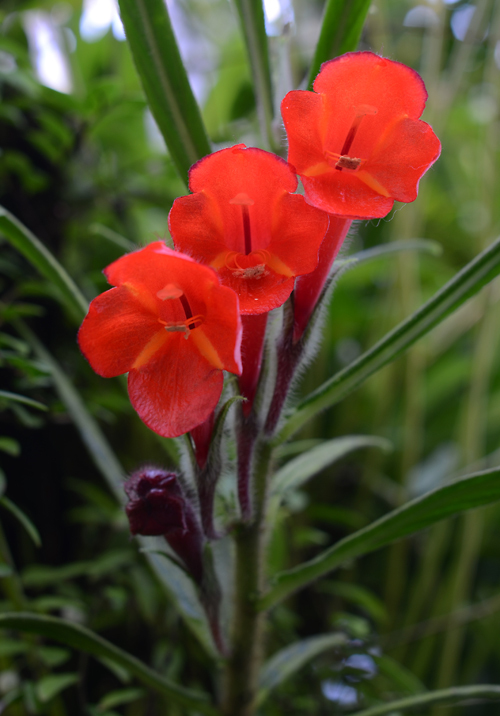 Those tubular red flowers seem desperate to get the attention of a long-beaked hummingbird. Columneas are members of the African Violet family (Gesneriaceae, aka the gesneriads). Since I spent three years sweating (cheerfully) in the greenhouses of a wholesale gesneriad grower, I was startled, years later, to see these guys growing at 9,000 ft elevation on the chilly slopes of Andean Ecuador. 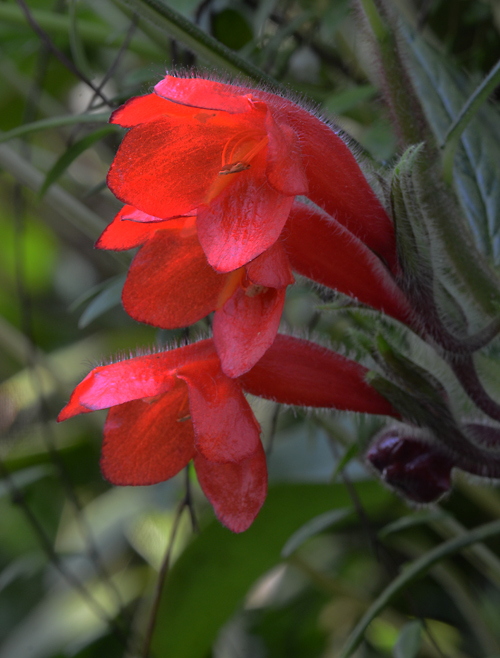 There are actually quite a few gesneriads adapted to cool tropical climates, many with the tubular red flowers so appealing to hummingbird pollinators. Warm blooded pollinators like birds are more active in cool climates than insect pollinators. Since we don't have hummingbirds, the columneas in our Tropical High Elevation House will have to settle for the attentions of humans instead. The type specimen (upon which the published description was based) was collected in 1980 in Ecuador north of Gualaquizza at 1600 meters elevation by Dr Cal Dodson, distinguished orchid botanist. It is! And it gets better --the flowers are followed by rose-colored berries. Thanks, Laurin.